This film has been made by the Canadian multi-award winning Human Rights journalist, Giselle Portenier (pictured, with Rhobi) about girls escaping FGM in Tanzania’s Mara Region and the work of Rhobi Samwelly and her colleagues in combatting FGM and running a Safe House to provide a sanctuary for the girls. This is the Safe House funded by the Tanzania Development Trust through an International Appeal. Several key members of Giselle’s team were with her in Copenhagen for the première including the Cinematographer, Samson Kapinga, the Editor, Cathy Gulkin and the composer Andrea Wettstein, with back-up and generous hospitality provided by Giselle’s husband, Chris Browne. 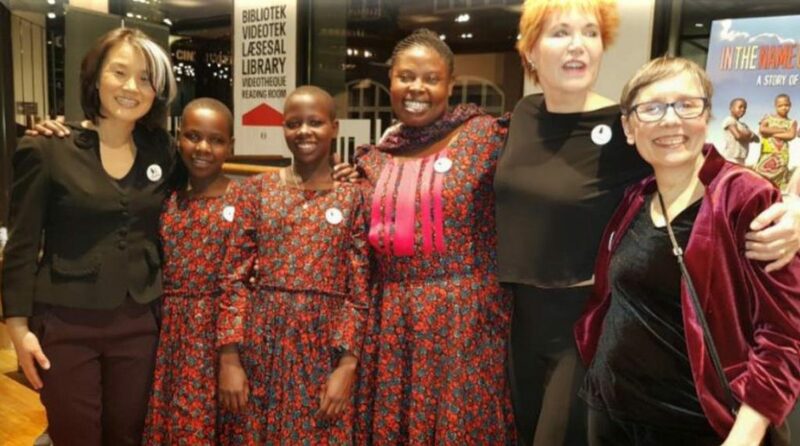 To the delight of all, Giselle had arranged for Rhobi Samwelly to be present, and thanks to the generosity of Plan International, Dr M Vasant and others donors, two of the girls who are prominent in the film, Rosie and Neema were there also. Plan International provided a chaperone for them. Representing BTS/TDT were Willie and Gail Fulton and Ann and Julian Marcus. TDT was one of the film’s first sponsors. In my view, the film is outstanding and very powerful. It shows the way that FGM in Mara is closely related to the local cow-based economy. We hear why husbands still want to marry girls who have been cut, claiming that this will reduce their tendency to unfaithfulness or promiscuity. We hear also from a tailor who fears the loss of business in new dresses for girls who survive FGM. We meet parents who accept their daughter’s decision against FGM, and also those who dishonestly pretend to do so, and those who reject their daughters and the pain this causes. So, the film is not simplistic but very honest. It shows that changing hearts and minds is not easy in a rural community where cattle and agriculture provide almost the sole source of income, and where also educational standards are low. Girls who are cut marry young and rarely gain secondary education, so the campaign against FGM is also a campaign for the right of every girl to secondary education. The film demonstrates the importance of support from the police and civil authorities and we see the excellent assistance Rhobi and her team get from the local police and Giselle was able to film arrests being made. ‘In the Name of your Daughter’ could have been a bleak film. That it isn’t is because of the charisma of Rhobi Samwelly and because of the courage and witness of the girls and the mutual love and care they show. 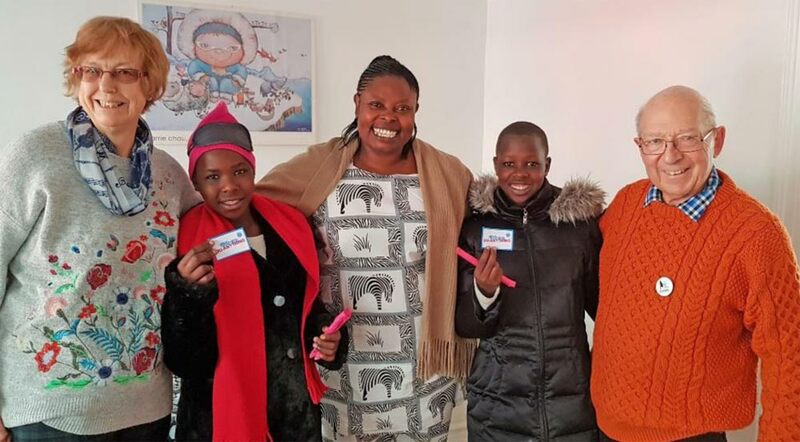 We see Rosie and Neema become confident public speakers and taking the anti-FGM message into local schools, quite unabashed about telling other children why FGM is so bad for girls and how it differs from male circumcision. The cinematography throughout is outstanding, at times very beautiful and always enhancing the story being told. Samson gained the trust of the girls so well that you never feel that they are acting ‘for the camera’ but being themselves. Andrea Wettstein has composed music that uses African rhythms and incorporates African song. Again, this is never intrusive, but enhances the story and film. The cutting by Cathy Gulkin has produced a coherent narrative that rightly leaves the viewer moved, impressed, but also wondering how some girls will make out. Overall, of course, the quality and inspiration of the film are due to the passionate commitment of two women, Giselle Portenier and Rhobi Samwelly. Thanks and congratulations to both. The Première had a number of distinguished guests including Her Excellency Emi Furuya, Canadian Ambassador to the Kingdom of Denmark, seen here with Rhobi and the girls, Giselle and editor, Cathy Gulkin. The film was extremely well received and after it Giselle, Rhobi and Rosie and Neema got a tremendous reception and were given time to answer a few questions. Ann’s shop raised £150 ($CAN 273, 480,00Tsh) for the Girls’ Rights Fund. In the picture Ann is with 2 of her customers. The reception of the film was incredible. Every audience who saw it was visibly moved, touched, and fascinated. “Moving”, “Touching”, “Inspiring”, “Life changing” were words I heard. The Danish children in particular were very moved. In addition to the three CPH:DOX screenings which included a school screening, two actual school screenings with children 13-17 took place. Some of thechildren were crying when they got to meet — and hug! — the girls. Rosie and Neema said the complete highlight of the trip was to meet the Danish children. 13-year-old Danish girl Regitze pronounced the film “Life-changing” with tears in her eyes. Last night was the last – sold out screening (not an empty seat in the house!!) – and Samson the cinematographer and I swung by for the last ten minutes, grabbed a mike, and surprised the audience with an unplanned Q and A which went for half an hour. Not a single person got up and left before it was over, and many again approached us afterwards. Same with all the other screenings. So I am very encouraged that our film will continue to have impact wherever it goes. And we have several offers of volunteers for the Safe House later this year and next. Wonderful. Between 2014 and 2017, TDT’s Mugumu Safe House saved up to 500 girls directly saved from FGM across three ‘cutting seasons’ between 2014 and 2017, and others by outreach work in villages. This was made possible by the overwhelming generosity of donors. The Girls’ Rights Fund will support outreach work against Female Genital Mutilation and Child Marriage. Funds may be used to support staffing, outreach work, and temporary shelter and food for girls at risk, and allow them to continue their education instead of being subjected to FGM and married against their will. The GRF’s first grant was to Hope for Girls and Women Tanzania. This is an NGO set up by former Mugumu Safe House director Rhobi Samwelly, who has opened a safe house in Butiama in rented property, to protect girls from the threat of FGM. Rhobi is assisted by many of the team members who worked with her in Mugumu. 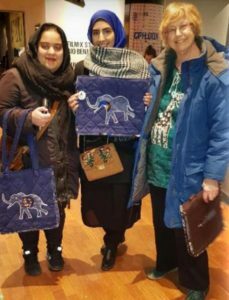 Over the 2017-2018 ‘Cutting Season’ more than 150 girls have so far been saved from FGM.